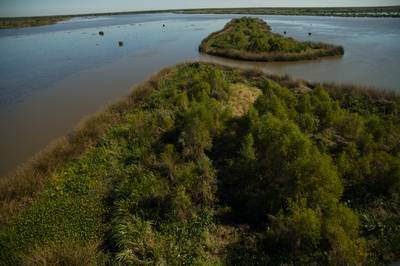 The trustees and BP have identified approximately $134 million in projects to be included in the next proposed phase of early restoration. This milestone comes five years after the Deepwater Horizon oil spill in the Gulf of Mexico. It is anticipated that these projects will be included in a draft Phase IV Early Restoration Plan that will be made available for public review and comment. So far, we have approved three phases of early restoration, encompassing 54 projects at an estimated cost of $698 million. Early restoration allows for the jump start of restoration using up to $1 billion that BP has made available for jointly-agreed upon projects. In return, BP’s liability is reduced. Early restoration is not intended to provide the full extent of restoration needed to satisfy our claims against BP. The damage assessment—and restoration—will continue until the public is fully compensated for the natural resources and services that were lost as a result of the spill.